Three incidents in one month by ‘Traditionalist Catholics,’ including physical attack. AUSTIN, Texas (Morning Star News) – In one of at least three instances of persecution of Christians in southern Mexico’s Chiapas state last month, village leaders reneged on their agreement to allow 47 evangelicals who were expelled for their faith to return to their homes and land. In accordance with the agreement arranged by state officials, Protestants from Buenavista Bahuitz village on Jan. 20 tried to return to their community after syncretistic Catholics expelled them in 2012 for their faith. When the Protestants and Chiapas officials accompanying them reached Buenavista Bahuitz, community leaders again refused entry until the Protestants convert to Catholicism, according to advocacy group Christian Solidarity Worldwide (CSW). “Traditionalist” Catholics of the village who practice a blend of Roman Catholicism and indigenous customs involving drunken festivals have been at odds with the Protestant minority for years. Local authorities who are such syncretistic Catholics told them they could come back to their property only if they became Catholic and took part in their religious activities, including paying for the costly celebrations that involve large amounts of alcohol. In November those expelled from Buenavista Bahuitz together with other forcibly displaced Protestants from other Chiapas communities protested their plight with a peaceful sit-in at the state government building in Tuxtla Gutierrez, the state capital. After state government officials gave the Protestants verbal commitments to address their concerns, the displaced ended their month-long action on Dec. 1. Chiapas officials had assured the displaced group that they had negotiated their return, said Luis Herrera, director of the Coordination of Christian Organizations of Chiapas (COOC), in a CSW statement. The officials had told the Christians their freedom of religion would be protected. But when the Christians and state officials arrived in the village by bus on Jan. 20, Buenavista Bahuitz leaders told the former residents that they must convert to Catholicism in order to stay. When surprised state officials then intervened with the village leaders, the syncretistic Catholics at last offered to allow the Christians to stay if they paid a high fine. The Christians declined the offer. They returned to church property in Comitán de Domínguez, where they’ve lived as displaced persons for two and half years. The continued expulsion of the 12 families is among 30 active cases of faith-based persecution that CSW is tracking in Chiapas, an analyst from the organization told Morning Star News. The cases range from early pressure applied to villagers, such as having water or electric power cut, to local authorities denying children the right to attend school, said the analyst, who requested anonymity. Other cases, she said, include removing Protestants from a government benefits list. Extreme cases include bans on worship, forbidding even home prayer gatherings, destruction of houses and church buildings and outright expulsions. Exacerbating the problem is impunity in Mexico for religiously motivated crimes. The roots of the inaction lie in a culture holding that the majority has the “right” to decide the faith of the entire community. Violations of religious freedom and forced displacement of religious minorities have been common for decades in Chiapas, Oaxaca, Guerrero, Hidalgo and Puebla states, where there are large indigenous populations, according to CSW. Local political bosses or caciques resort to Mexico’s “Law of Uses and Customs,” which was designed to keep the government from interfering with local indigenous customs but which syncretistic Catholics use to force evangelicals to pay for and participate in “Traditionalist” Catholic rituals. The Law of Uses and Customs thus has been used to allow local authorities to violate, with impunity, religious rights guaranteed in the Mexican constitution, CSW noted. “We continue to call on the state government to meet its obligations under Mexican and international law and urge the federal government to intervene if the state government is unable or unwilling to fulfill its responsibilities,” CSW Chief Executive Mervyn Thomas said in the statement. 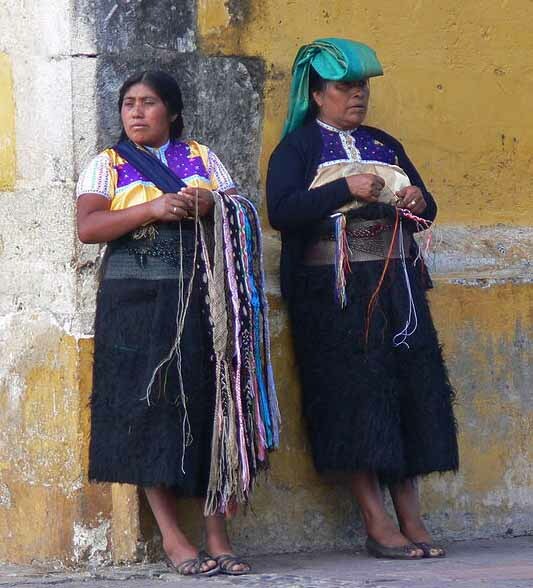 Recent expulsions in Chiapas include that of 10 Protestants whom leaders of La Florecilla village in San Cristóbal de las Casas municipality forced to leave on Jan. 14 after the Christians refused to renounce their faith, according to CSW. Also in Chiapas, on Jan. 8 about 25 armed, hooded individuals believed to be caciques reportedly attacked evangelicals in Las Ollas community in San Juan Chamula municipality for refusing to take part in a Virgin of Guadalupe festival in December. Although they objected to the drunken festival on principle, the impoverished evangelicals reportedly said they were willing to pay but simply could not afford the 250 pesos (US$16) per family that village leaders demanded of them. Oh gee.. These must be the horrible “Christians” the president referred to in his speech at the National Prayer Breakfast. Tell me again why there is this tension…Why are Christians failing to get along & bring God’s Name into disrepute & allow unbelievers to blaspheme Him by showing a LACK of love? 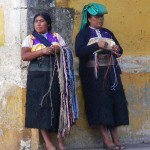 I have worked as a missionary in Mexico Chiapas For many years and the syncretic Catholics found in these areas do not believe in Jesus Christ but carry out animal sacrifices, voodoo and witchcraft as a result of the incorporation of catholic practices with indigenous practices when the spanish conquest took place centuries before. These are not Christians as perhaps you would normally understand the word, ie “little Christs” because they strive to look like Jesus. No such luck, they’re fully pagan and behave cruelly towards those who don’t run headlong with them into the same destructive practices they pursue.